After a long day at work I managed to take some outfit shots! 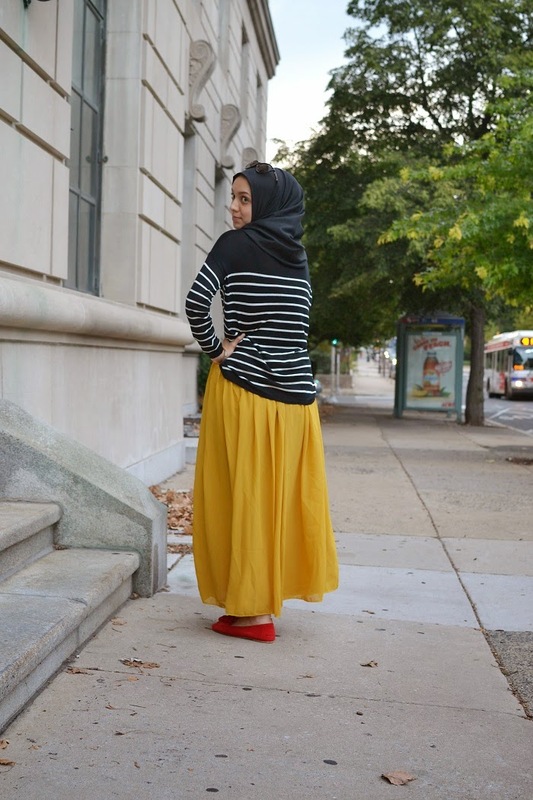 I paired this mustard skirt from delicate-hijabi with black, white and of course a pop of red! I got so many compliments on my skirt at work, it's such a fun color! What fun, bright contrasts! 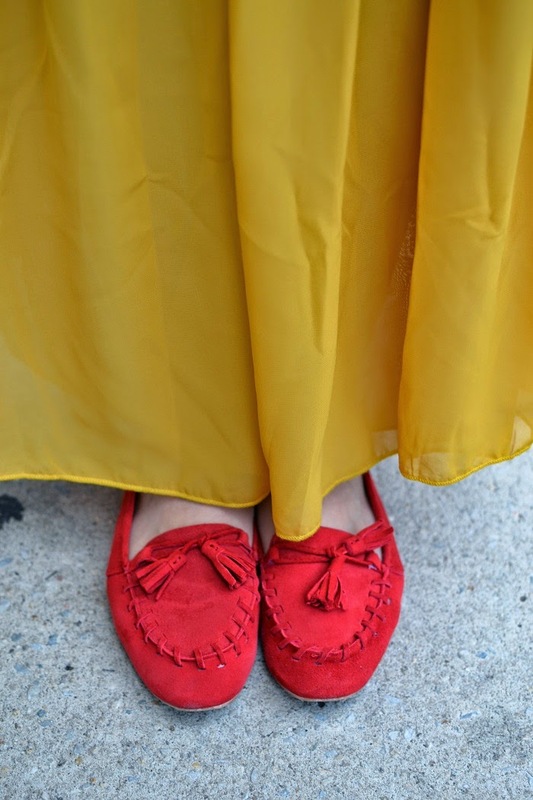 This is a comfortable and modest outfit for time at the mosque, too!